The Academy of Motion Picture Arts & Sciences' disqualification of Johann Johannsson's score for Arrival has rekindled the controversy within the music community about the use of pre-existing music and how it can affect a film's chances at awards time. Johannsson, a previous Oscar nominee for The Theory of Everything and Sicario, was disqualified from Oscar consideration last week by the Academy music-branch executive committee, based on the film's use of Max Richter's 2004 classical piece, "On the Nature of Daylight," at two crucial moments in the narrative. The committee ruled "that the credited composer did not write significant and prominently featured music in the film" and, in a letter to Johannsson, expressed concern that Oscar voters might be "influenced by crucial music" not written by him. Richter's piece bookends Denis Villeneuve's film, underscoring the Amy Adams sequences at the beginning (for nearly three minutes) and the end (for five and a half minutes). According to Johannsson, editor Joe Walker used the Richter as temporary music, and cut the opening sequence to it. "It was always the intention to replace it," Johannsson explained, as nearly always happens with temp music in a film. "I did several attempts, but I didn't want to emulate that [Richter's] sound. I wanted the opening music to have a correlation with the rest of the score. So I composed a piece for a cappella voices, which ultimately didn't make the cut." Johannsson went on to say that he thinks Richter's piece "works beautifully" and that it was "the right artistic and aesthetic decision on Denis' part to do this. It creates a very clear demarcation and frames very clearly these two story threads." Richter himself was skeptical about the proposed use of his piece. He was, he says, surprised at first, because he knew Johannsson (a friend for many years and fellow label-mate at Deutsche Grammophon) was composing the score. "I felt badly for him and I was doubtful about allowing it, honestly." But, according to Richter, Villeneuve called him, "and we had a lengthy conversation about all the pros and cons of it, and its significance in the film. It bookends the film with these two big, very emotional moments. I felt, on balance, it was the right thing to do, to support everyone." So he permitted the use of "On the Nature of Daylight" in Arrival. The same piece was used prominently in Martin Scorsese's Shutter Island (2010) and appears in at least three other films. "It's been around," Richter quips. "It's one of those pieces with a strong atmosphere. It does seem to have a gravitational field that pulls things into it." Johannsson's team has chosen not to comment on the disqualification. One member of the branch executive committee, who spoke on condition of anonymity, said he hopes that this will begin a fresh discussion about licensing temp tracks, going so far as to say that he believes the director effectively "punished" his composer by using old music instead of the new music Johannsson composed. 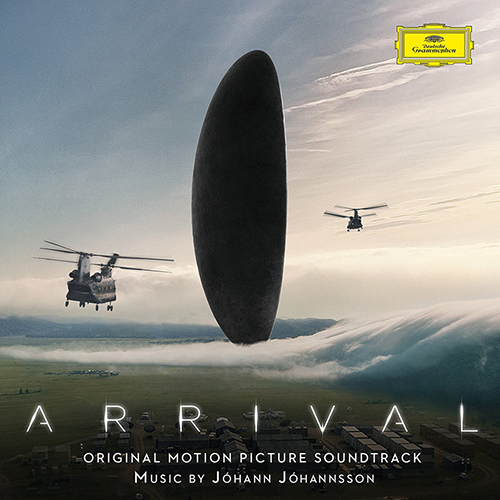 There are 55 minutes of original Johannsson music in the Arrival score. The issue has not disrupted the director-composer partnership, however, as Johannsson is currently writing music for Villeneuve's next film, Blade Runner 2049.